Finally, it’s finished. Around 300 hours of work! So without further ado here are the photos. Love it Munaiba!! 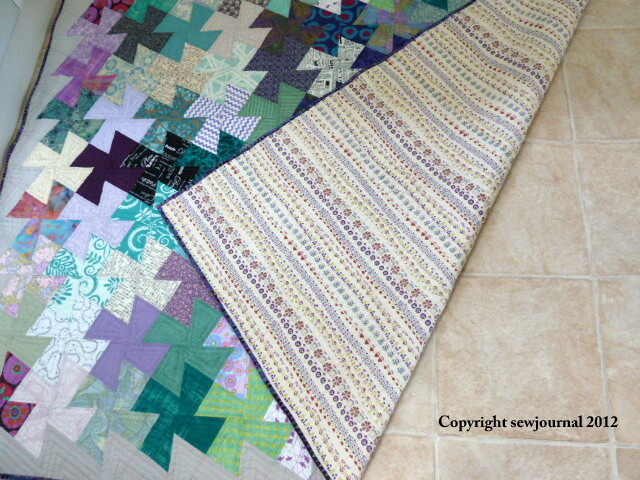 You did a great job – pattern, colors, quilting. 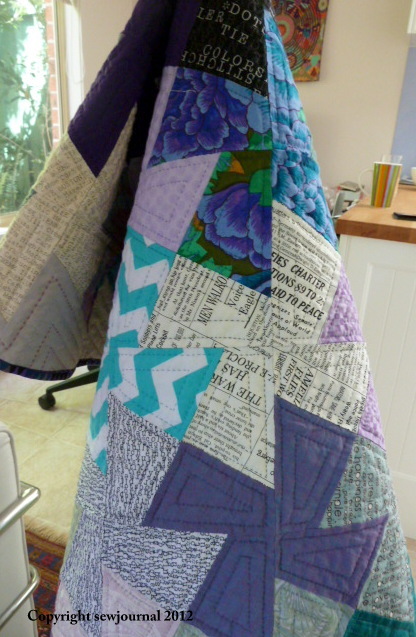 It is absolutely beautiful and you do such lovely hand quilting! Now that you have finished that – what is your next project? I’m quilting the “manly” quilt I started a while ago, designing a blanket for my future son-in-law and making a baby quilt. Love this!!!! The quilting is stunning. Great work!! Wow, it is beautiful, Munaiba! I have made this pattern a number of times but only with small blocks and small pieces. I absolutely love the way it looks and your combination of colors is great! The most difficult part I find is getting all the parts of the block to cooperate with the neighboring block. 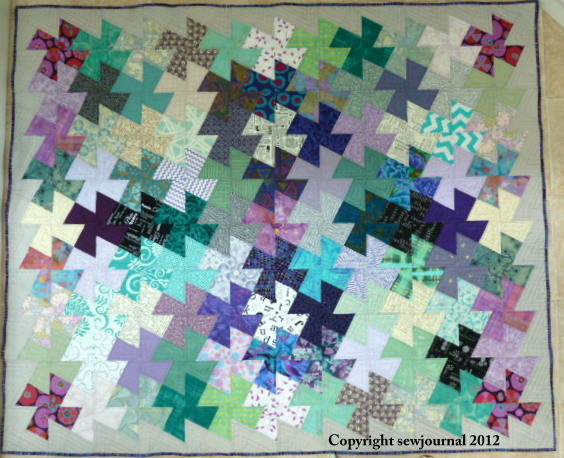 I would love to make a large quilt some day but a design wall would be a must..
Hmm. I don’t know about soothing Linda. My hands get pretty sore after a while. Well done on finishing this, I like the colour combinations too. 300 hours – wow. When did you start it? I think I started it around June 2011 so it’s been a while. love it! No surprise there, since your projects, workmanship and color choices are always loveable! Just amazing. Love the colours and the pattern. Fantastic effort. Wow Munaiba Chachi, that’s GORGEOUS! I know nothing about quilting but I can only imagine how much work that was, it’s really beautiful 🙂 and I love all the colours you chose!